Ladies and gentlemen, “Bad Girl Riri” is a mesmerising tune that’s hella wavy with a feel-good vibe to it. This is as Yonda and Mayorkun unleash the depths of their vocals abilities over scintillating content for the special lady. They had the pedestal and background of banging tunes and stunning instrumentals as produced by the prolific producer, Spellz, to match an overall quality production and output. Yonda is consistently pushing the frontiers on the competitive Nigerian music circuit and efforts such as this will only further add credence to that drive. 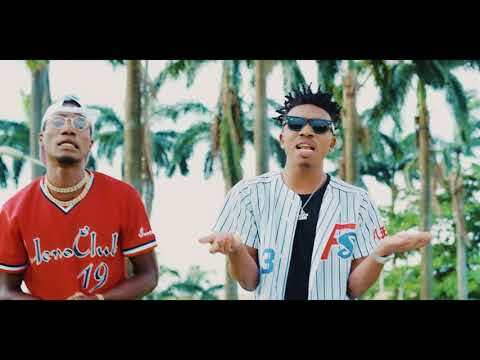 With his superb musical talents, he only needed the support and legitimacy of Mayorkun who burst out unto the scene with his sensational smash hit single, “Eleko,” a little over a year ago. “Bad Girl Riri” is the current ride and Owambe parties as well as the dance floors better be ready for its grind. You can already get started before its dominance of the airwaves.